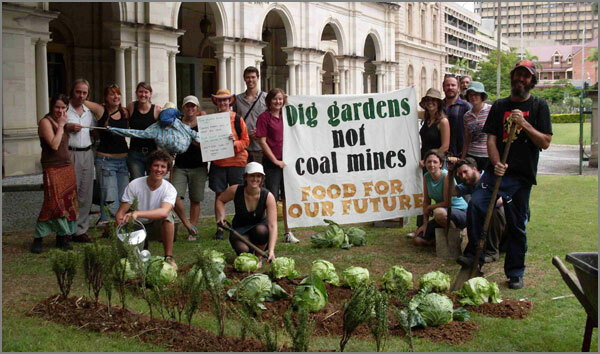 The coal mining industry has greeted the latest report of the Climate Commission with howls of protest. Entitled The Critical Decade, Climate Science, Risks and Responses, the report says that in order to avoid a rise of 2 degrees in average world temperatures by the end of the century the burning of fossil fuels must peak before 2020, and must then begin to decline sharply. Mitch Hooke, chief executive of the Minerals Council of Australia, accused the Commission of environmental campaigning and demanded to know why a taxpayer funded organisation that was supposed to operate with strict scientific rigor would draw the same conclusions as environmental organisations dedicated to ending coal mining. The answer is that the report is based on a number of studies from leading scientific organisations around the world, including NASA and Australia’s CSIRO, and that all these organisations followed strict scientific criteria in reaching their conclusions. In replying to the mining industry’s criticism, Climate Commissioners and co-authors Professor Will Steffan and Professor Lesley Hughes pointed out that the Commission had not been influenced by other organisations and that it was up to governments to act on the report’s findings. The fact that the report comes to the same conclusions as environment groups simply proves that those groups were right; it does not invalidate the Commission’s conclusions. There is a certain irony in the mining industry’s criticisms, because the report indicates that mining will be one of many activities that will be badly affected by climate change, especially in the north-west, which is expected to experience a sharp increase in extreme weather events in coming decades. The report verifies conclusions reached by many scientific organisations, i.e. that global average temperatures are rising, and that although there has only been a one Celsius degree rise over the last 50 years the climate is already changing. The polar ice is melting, the sea levels are rising, the sea is increasing in acidity. The world’s flora and fauna are trying to adapt, but for many species the long-term outlook is grim. The effects are already evident in Australia. The number of record hot days has more than doubled in the last 50 years, with increasing heat waves and bushfires. The 200mm average global rise in sea levels since the late 1880s has impacted many coastal communities, and if current conditions persist another rise of 200mm is likely by 2050. The Great Barrier Reef has experienced nine bleaching events in the last 31 years. The Reef and its associated economy are under serious risk. The report accepts that the rise in world temperatures results from the increase in the level of atmospheric greenhouse gases, and that deforestation and human activity involving the combustion of fossil fuels and the consequent emission of carbon dioxide is primarily responsible. Orbital variations and solar activity cannot explain the global warming trend. The report declares unequivocally: “Without strong and rapid action there is a significant risk that climate change will undermine our society’s prosperity, health, stability and way of life. This is the first time an Australian government report has explicitly recommended the phasing out of fossil fuel production and use. It concludes unequivocally that the use of fossil fuels must begin to decline within the next few years, and that the sooner and more rapidly that occurs the better. In glaring contrast, industries associated with fossil fuel want an increase in their use, and they will fight to prevent or delay any government program to reduce reliance on those fuels. Coal industry representatives have argued that winding down the coal production in Australia will be futile because its use in Australia is very small compared to other countries, and because overseas purchasers will simply buy their coal from other sources. But that’s not correct. Despite its relatively small population size Australia is now the 15th largest emitter of carbon dioxide in the world out of 295 nations, and is the worst performer on a per capita basis, so a progressive reduction in our carbon emissions would have a significant impact in mitigating climate change. Such a reduction would set an example for other nations to follow and would also cause global shortages, prompting overseas purchasers to turn to renewable energy sources. Moreover, scientists estimate that in order to provide a reasonable chance of keeping average global temperatures no higher than 2 degrees over the 1990 benchmark levels between now and 2050, the burning of carbon will have to be limited to about 600 billion tonnes. Australia’s fossil fuel reserves represent about one twelfth of the world’s stock, so Australia carries a major responsibility to take the lead in reducing production and use of fossil fuels. Australia is now the world’s biggest exporter of coking coal, and the port of Newcastle, which is about to be sold off to private interests by the O’Farrell government, has the largest coal-loading facilities of any nation. The Commission has taken a new approach to presenting its conclusions and now nominates long term “budget” targets for maximum permissible emission levels, with a view to avoiding “tipping point” climate changes. The major Australian political parties have argued about the “best” way to tackle climate change, but because of the urgency of the situation all the approaches that are likely to have some effect should be put into effect. Emissions trading schemes are foundering, because of the vagaries of market fluctuations, and because of the difficulty of imposing sanctions on nations that default on their obligations under these schemes. The carbon tax has been a colossal disappointment in Australia, largely because the major polluters have been exempted from the carbon tax. However, carbon taxing has great potential, especially where heavy taxation on high-emitting firms funds tax exemptions for firms converting to renewable energy use and firms involved in renewable energy production. The Climate Commission’s report does not deal with these matters, but it does examine methods of limiting carbon emissions. It acknowledges the worth of bio-fuels and “carbon sink” schemes involving new ecosystems. However, it also describes their limitations, and explains why minimising the burning of fossil fuels is essential to tackle the problem. The Critical Decade is lengthy, but is clearly expressed and graphically illustrated. It’s a very important document that should be widely read.